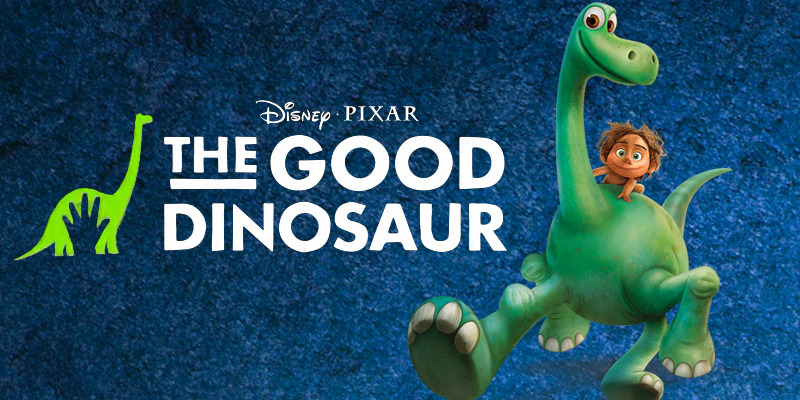 Disney/Pixar released The Good Dinosaur a few days ago, and it appears to be doing well at the box office, giving the final Hunger Games movie a run for its money. The film is all about what would have happened if an asteroid did *not* wipe out the dinosaurs 65 million years ago and humans lived alongside them today. And who better to talk about dinosaurs living alongside humans than the people who think The Flintstones was a documentary? At Creation Ministries International, Lita Cosner is obviously upset that the movie just assumes the dinosaurs would have gone extinct millions of years ago if not for an asteroid, since, you know, the Earth only came into being 6,000 years ago. Millions of years is literally central to the movie’s plot: if we rewind history millions of years and tweak the comet’s path, what changes? And then fast-forward millions of years to see the results. Of course, this is part of the constant barrage of references to MOY timescales that cumulatively indoctrinate people into disbelieving the Bible’s history. In her view, using an evidence-based history as the foundation for a “what if?” film is inherently anti-Christian. She’s also upset that the movie’s premise of humans and dinosaurs living side-by-side represents an alternative reality. Because that’s her actual reality. Clearly, this is a Pixar conspiracy to turn kids against Jesus. But this is a movie review, so the main question is whether or not parents should take their kids to see it. Cosner says that’s okay… but parents should beware that they may be condemning their kids’ eternal souls. There can be a tendency to wonder whether it is ‘worth it’ to critique movies that are obviously aimed at a children’s audience and not necessarily aiming for scientific accuracy. But childhood is precisely the stage where so many images are internalized and worldviews are being built. This isn’t to say that one shouldn’t see the movie, necessarily. Rather, one should be deliberate in one’s decision whether or not to view it and allow one’s children to do so. Based on the ticket sales, parents don’t seem to be worried about the supposed indoctrination. November 28, 2015 Does the FFRF's Andrew Seidel See a Hankering for Jim Crow Where None Is Evident?